One of my New Year's Resolutions is to figure out some new recipes to feed my family. Because lately I'm in a rut. We have some good tried and true recipes that we all love (I've put a whole slew of them in this blog, click HERE to scroll through some of them that I remembered to label...), but it's time to branch out a little bit. The goal is healthy eating. We all need a swift kick into gear around here to detox from all the crazy holiday eating. I'm going to challenge myself to get going on my green smoothies (lots of recipes back in this post comments back HERE), and to get to the farmer's market at least twice a month and get a whole bunch of veggies to try new things with. It helps push me to try new things to post them here so I'm going to try to be more regular about my Thursday recipes. This first one isn't really a recipe though, just another ploy to get my family to like hummus more because I adore that stuff. And apparently it's not too shabby for your health (see reasons here). We needed something quick in between Grace's cheerleading, Claire's gymnastics and the piano recital last night so I decided it would be a perfect night to put the hummus ingredients my sister-in-law left here to use and whip up my own recipe to go in mediterranean sandwiches. The hummus recipe I tried was good but not my favorite so I'm not posting it here (I only put stuff our whole family devours on here). But there are a ton of good looking recipes google (which I intend to try), and almost all of them need the exact ingredients. I had the girls go pick some lemons from our neighbors tree (love that) and got going. I stuck a few frozen chicken tenderloins (from Costco) in a pan with a little water, onion, garlic, and Greek seasoning and let them cook with the lid on while I whipped up the hummus. Note to self for next time: as much as I adore our Vitamix, it doesn't do the trick very well as a food processor. Some day maybe I'll get one of those, but for now this has to do the job. By this time I had turned the chicken, seasoned a little more and it was so tender it came apart perfectly for our sandwiches. ...and slapped a little hummus and veggies on there and ate. My kids are still not head-over-heels about hummus though, dang it! They ate up their sandwiches, but were even more excited about putting cinnamon sugar on the remaining warm bread for dessert. In the meantime, if you have any great tried and true recipe ideas, send them on over! my health nut mother in law introduced us to squash spaghetti (you've probably already heard of this) but you take a squash, cut in half or fourths and pop it in the oven until it's soft, then you take a fork and scrape the squash out and it comes out like spaghetti! Ahh! I have tried to comment 5 times. Computers!! Search on Pinterest for Chicken Lime Tacos in the crock pot, it uses the juice of two limes, a bunch of cilantro, half cup water, (I used 2 green onion) and taco seasoning. It was divine and my family of 5 gobbled it with NO leftovers, which is insane for us! I don't add the hot sauce, and use a little less garlic. Not to steer you away from the homemade stuff, but have you tried some of the store bought varieties? There are some great ones out there and it would cut out variables such as "maybe this was just a bad batch." Since chickpeas and hummus are so bland I think its more about what is added to it. I would equate simple hummus to plain oatmeal, which few people enjoy. I think it is best with garlic or pepper and definitely olive oil added to the top. Good luck! Stacy, it's a shame you aren't in the UK. One of the supermarkets here, Waitrose, do a lovely hummus with caramelized onion. It's wonderful:). I never cook from scratch & buy ready-meals & this hummus from Waitrose is brill:). A couple of my favorite food blogs are iowagirleats and melskitchencafe. If you want your kids to make healthier choices, and crave healthy foods. Only offer that. It will be hard now since they are older and haven't been "trained" this way but it can still work. Pack healthy lunches, have fruits and veggies chopped and ready for a quick snack. Have junk food hidden and only use from time to time. If they don't like the healthy dinner, then they don't eat. Kids will eat if they are hungry. Its not a good feeling to be starved. Oh yes! Can't wait to read some of your recipes and suggestions from your readers. If you ever get a chance would love to hear how you handle dinner time/dinner prep/kids evening activities/homework/piano practice. 4:00-8:30 is so nice because the kids are home but so crazy!! We're in and out so much after school that it's hard to get a nutritious meal on the table! I am sure you would have some great suggestions! Oh and some good recipes! Stirfrys are awesome!!! You can add what ever veggies you want, chicken or shrimp, serve over some rice and let the kids choose their sauce. (soy sauce, hot sauce, teriakkyi, curry). Stuffed peppers are healthy, easy and fun. So, I live in Saudi Arabia. Yep, I do and love it! Saudis know how to do hummus. Deliciousness! If your children could just have one bite! Oh how their mouths would water and they would be begging you on their knees to please have more. I cannot replicate it, don't even try anymore. What am I saying? I bow to the masters and let the hummus Gods do their magic. I partake while I can and know that when our time here is done it will be but a fond memory. 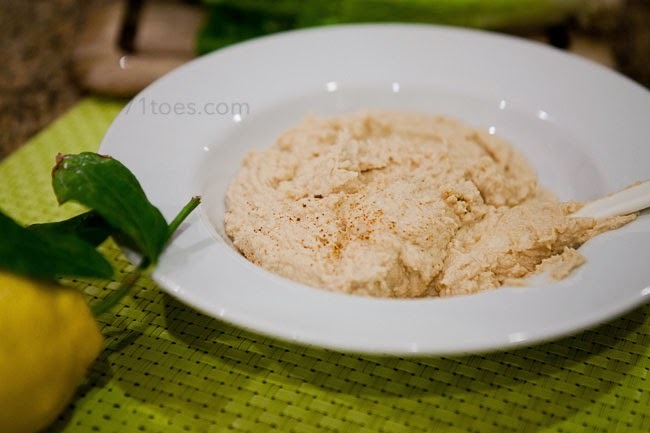 We make a yummy refried bean dip using half beans and half blended chick peas. Season with onion, garlic, chili powder, etc. Serve with chips, bagel chips or use as you would refried beans in tacos or whatever. YUM! Also, you can season and roast chickpeas. They're crunchy and good to grab as a quick snack in the car on the way. Look for recipes on Pinterest. Keep those good recipes coming! I just thought I would let you know that one of the ads on the side bar leads to an inappropriate "adult only" site. If you are interested in the specific ad, I took a screen shot of your blog and would be happy to email it to you. 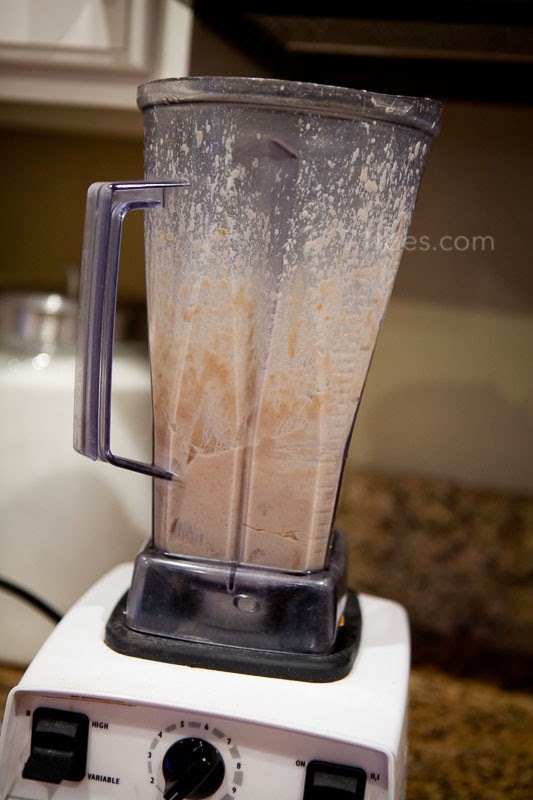 My kids LOVE my smoothie that I make every day for my own breakfast. I use a yogurt base though which adds sweetness. Typical day--ice, vanilla fat free yogurt, banana, about 5-6 strawberries, a kiwi, a sprinkle of flax and wheat germ and a big handful of kale. It really is delicious! My 3 and 1.5 year old eat it daily too. My 6 year old leaves a little to early before it is finished, but she loves when she gets it on weekends and vacations. On a side note, I would love to see a typical weeks schedule in your house. How you get everyone where they were going, who comes along, who stays home with little ones, and how you fit meals in with everyone going different ways. I have a young family of 3 girls and right now they only do gymnastics, on the same day and about the same time. I know this won't always be so easy to plan. We really love the hummus they sell at Costco (not the Sabra, the other one). I know it's healthier to make your own but my kids will go through a whole thing of that hummus is no time. And it's not a small package. 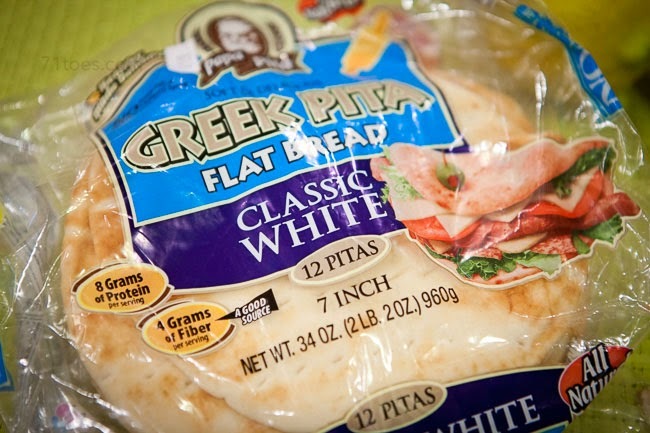 I make them with a big Greek salad and some roasted potato wedges and everything gets scarfed up. I add 1/4 cup roasted red pepper! 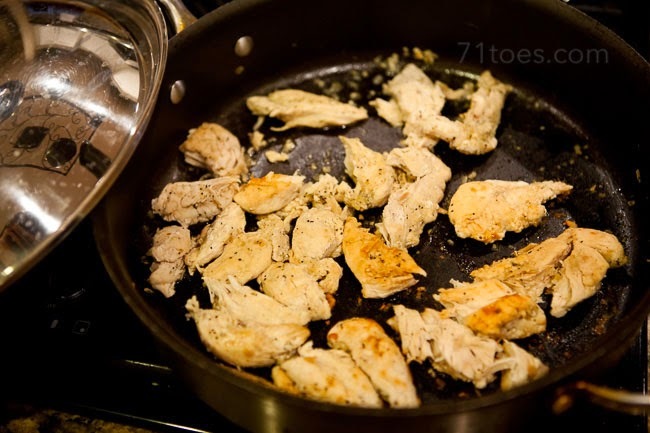 This is our very favorite way to do chicken, and my kids love it too. Marinate it for a few hours then BBQ or George Forman it. We usually have it with a sweet potato and a salad, or you can use just add it to the top of a green salad. Delicious! We love Mexican food so one of the things I make a lot is chicken in crock pot with salsa and taco seasoning. When it is close to done you shred it and make tacos out of it. some italian seasoning and minced garlic in a casserole type pan. Add boneless chicken breasts (spoon some of the sauce over top) Add some mozzerella and parm cheese over top. I cook on 350 for 25 minutes covered then take cover off and cook until done. Add a pasta or a veggie and some potatoes and whatever. It is delicious and easy. Looking forward to your recipes because I was just thinking yesterday that we were in a food rut! These burritos are really good and meatless, which is nice. They made their way into my "tried and true" recipe book. I've wanted to try to make my own hummus but I'm afraid it won't turn out as good as the store bought brand our family likes. It's by Sabra and it's the Roasted Garlic one. Oven roasted vegetables are delicious! I have never been a big fan of vegetables, especially steamed veggies. However, a couple weeks ago I decided that it was high time for me to start trying new ways to prepare veggies in order to kick my postpartum weight loss into gear again. I never thought I would crave a vegetable, but roasted Brussels sprouts are now one of my favorite foods (and my veggie hating husband and mother-in-law love them too!). Adding lemon juice (I used bottled) is key for me. Cook and season the ground meat, add on top of the other ingredients, enjoy. It is so tasty and easy to put together. sprinkle with smoked paprika it gives it a lift. I second both the spaghetti squash and roasted veggies. Love both! The spaghetti squash is one of my kids favorites (they're 1, 4 and 6 and don't love veggies). I don't do it with regular marinara sauce, mostly because I prefer regular noodles with that. I usually do some sort of a butter garlic base and then add whatever I feel like. Tomato basil is a favorite. Sadly, my kids don't love the roasted vegetables like I do. I'm hoping that as they get older they'll learn to. Why must they like hummus? It is a spread or a condiment. 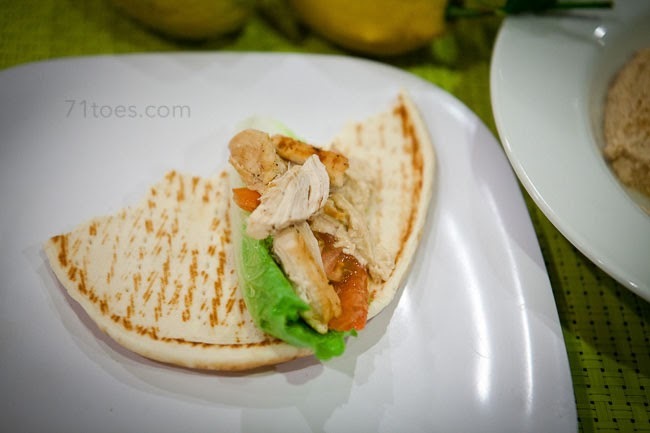 Why not the dry chicken on pita bread with the lettuce? There is protein in the chicken. You must be going crazy trying to find things 7 people of various ages like to eat. I think you are an awesome mom you got them to try it a number of times so they can really say whether they like it or not after a fair chance. 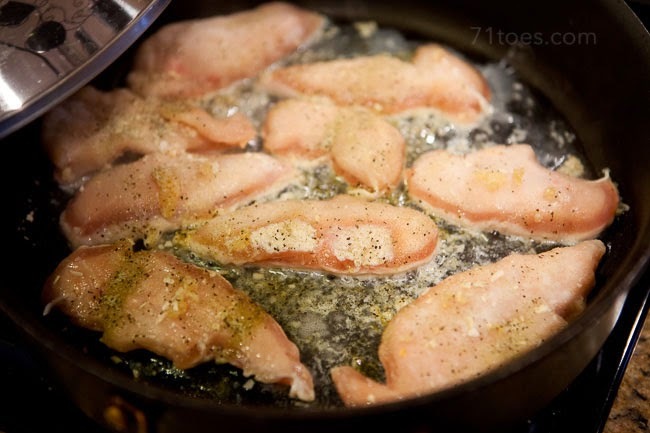 Another easy option: throw some chicken breasts or tenderloins in a 9X13. Pour a little melted butter on top and add whatever chopped veggies you have on hand (broccoli, snap peas, and red potatoes are our favorite). Sprinkle the whole thing with a package of the dry italian dressing seasoning. Cover with foil and bake on 350 for about an hour. Super flavorful and everyone at my house loves it! I'm also a sucker for all the cookbooks at Costco! Try to find a Wildtree Rep in your town. I am FAN of the products. My rep has me do a freezer meal workshop where I get together with friends and make 10 meals in bags ready for the freezer. Then I do not have to think about what is for dinner for at least 10 or more meals because we have left overs. There are TONS of different meal plans from kidtastic, to paleo friendly, to crockpot, to comfort foods. All the products are organic, gmo free :) Seriously it has changed my meal time. My picky eaters and husband get something new and I get out of our rut of the same meals over and over. Love hummus. Actually more stunned that you can buy onion pre- chopped! Shawni, my english is not good enough, so i hope you can understand. Eat healthier is the best new years resolution. We are vegan family and we don't eat processed food. All our food is made in home. 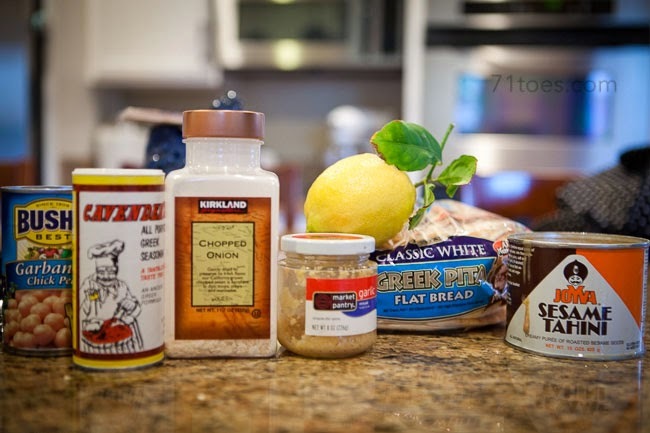 I recommend you replace white flour, white sugar and white rice for whole grains and seeds. It easy to do and make a huge difference in the diary diet. 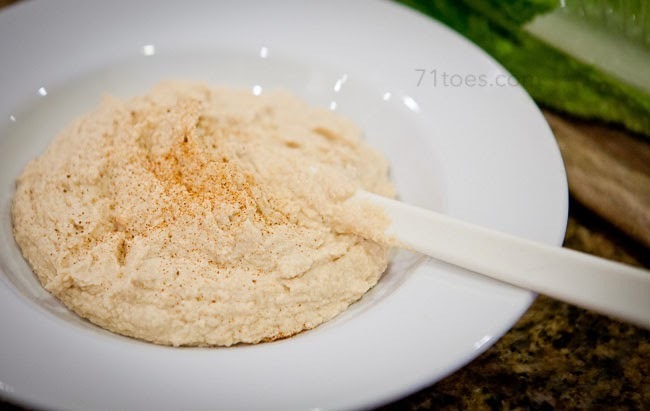 My kids don't love hummus, but if I cook chickpeas on the stove in a bit of olive oil, salt, and onion powder, they gobble them up by the handful! I went to the Jerusalem Center, so I too have been trying to get my family to love hummus! Although I don't use quite so much lemon. Store bought my favorite is the one from Costco. Not sabra, but the other brand. Sometimes it has pine nuts and sometimes there's a red pepper one without pine nuts. It's a big round container. Also, we like cucumber/tomato sandwiches with hummus in pita bread. If you're really looking for a healthier diet, the research (and LDS scriptures) are pretty clear: less meat and dairy and MUCH more vegetables, whole grains, and fruits. The good news is that your palette will change over time. The longer you stick with it and cut out processed food, the better the "good stuff" will taste to you. Start with breakfast and go for rolled or steel cut oats (with dried fruit and nuts), a fruit/veggie smoothie and whole grain toast w/PB, or homemade muesli. Then just work on gradually shifting in more healthy recipes and fewer unhealthy ones. Also, hunger is the best sauce so if you can keep your kids from munching between meals, you're much more likely to get enthusiasm for whatever you serve up. Good luck! Blend up, heat and eat! Cook garlic in oil for a minute or two. Coarsely cut up tomatoes in can with kitchen shears and add with their juice to oil. Add everything else and bring to a boil. Reduce heat and simmer 5 minutes. Stir in greens and cook until wilted. Serve buffet style: grab a big pile of greens, sprinkle generously with toppings and drizzle with vinaigrette. 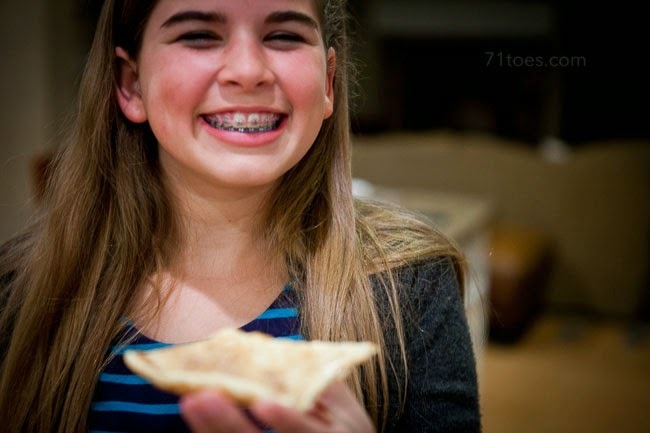 Healthy habits and a taste for good-for-you food are gifts that you can give children which last a lifetime. The change takes effort because it's definitely not the norm, but it's worth it! This is a new family favorite of ours. The answer to your hummus problem is white bean hummus or edamame hummus. I am not a huge regular hummus fan, and I LOVE these versions. So I get lots of varieties of hummus now, and everyone will devour it as an after school snack. I find them in my grocery store in the healthy/organic sections, but I am sure you could find a recipe to make your own. Thinking about it makes me want to eat some as a snack right now! Here is a fantastic, yummy way I use up all the veggies at the bottom of the drawer before I restock. I've made it three times and all three tims it was a bit different--my favourite was with butternut squash, sweet potato, regular potato, red pepper, onion, carrot, celery, zucchini and regular potatoes. I used olive oil, rosemary, thyme and a bit of garlic. My husband, who hates most orange veggies, loved them slow roasted like this. Read the entire recipe--I learned a lot. An awesome cookbook is called "the Family Flavor". The recipes are healthy (or can be adapted a little, i do canned milk instead of heavy cream) and relatively easy. The last few months I have loved trying new recipes. It is for sell on Amazon and worth every penny. Delish! Your kids are much older but the tips are still good ones for anyone interested in healthy eating.